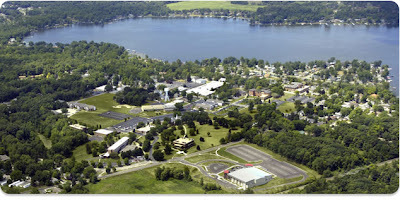 WINONA LAKE – Grace College is eliminating 17 positions. In addition, Grace is transferring three employees to other positions, increasing student employment opportunities and offering 21 members of the physical plant the opportunity to secure on-campus jobs through Aramark, the facilities manager since 1997. Each person affected by the staff reduction will qualify for a severance financial benefit. In addition, as a result of the recent stimulus package approved by the federal government, 65 percent of any COBRA insurance coverage will be paid by the government for up to nine months. Grace also will provide outplacement and counseling services for the employees and their families and the tuition remission benefit for employees and spouses who are currently in a degree program, as well as dependent children, will continue through the spring 2018 term. The press release states these decisions were also part of the strategy by Manahan and the administration to increase the number of work study positions available to students, some as early as April 1. Grace annually budgets approximately $500,000 for student wages. That will increase close to $700,000, allowing more opportunities for students to earn money during their education and strengthening their resume. With the influx of student workers, the net employee reduction will be 4-1/2 positions. In addition to the elimination of the faculty and staff positions, all of the senior administrative team voluntarily took a cut in salary of up to 5 percent. Thanks for keeping us informed of plans and steps being taken. I am thrilled to observe the continuing forward movement of Grace. May you continue to serve God well.